Finance has the ability to Split an Approved expense from the Approved section in Finance. 1. 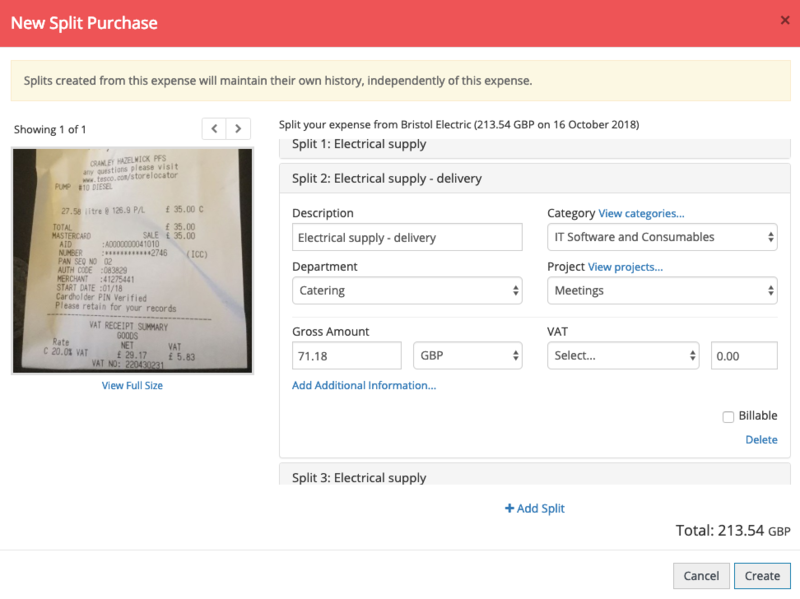 Click on the expense you wish to Split and click the Split button. Click +Add Split to manually create the Split. 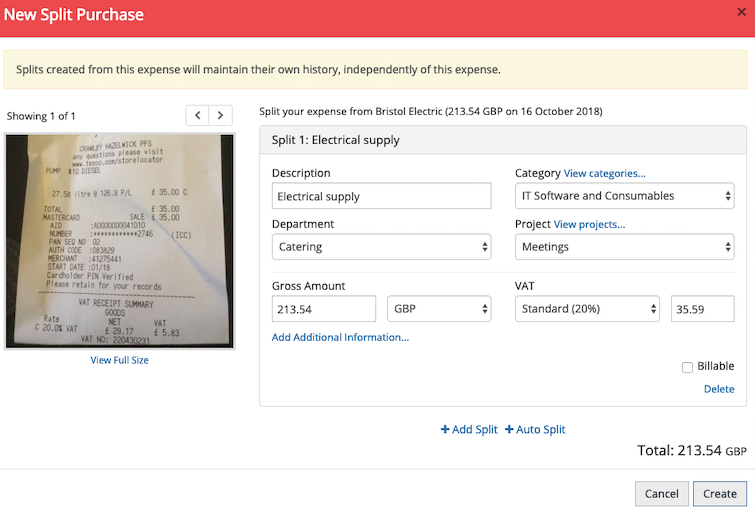 Click + Auto Split to allow the system to split the original Draft expense amount evenly for you. 3. Click on Split 2 and add a Description. 4. 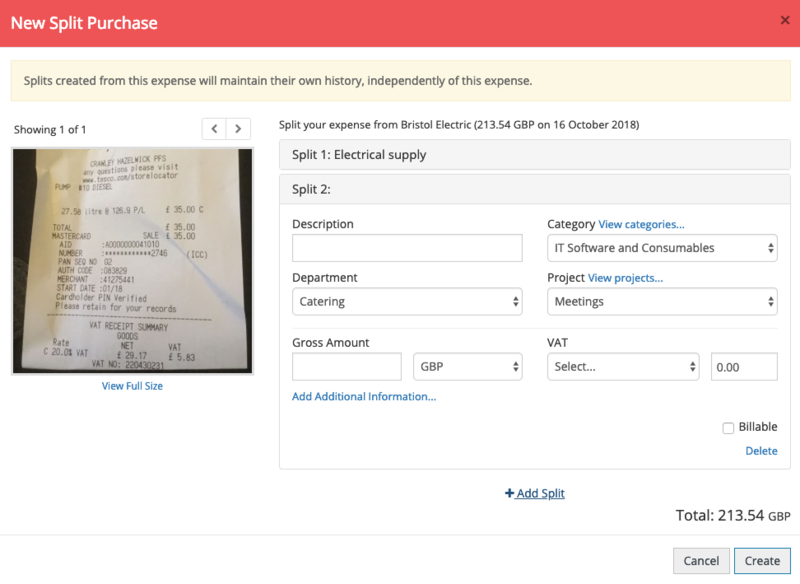 Change the Category, Department, Project, Gross Amount and/or VAT for Split. 6. Click Create and the Split expenses will be created. 5. Click Create and the Split expenses will be created.